Nice idea, shame he’s a bit of a ****. Innespace Productions have created a series of unique dolphin-inspired submersible boats that can jump, dive and roll like real dolphins. 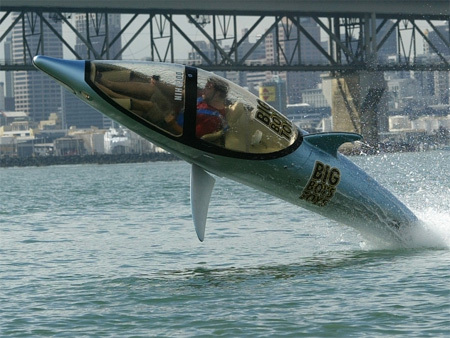 Within the safety of a dry and sealed cockpit, you can enjoy the cruising speeds of 40 mph and underwater speeds of 20 mph. I’m not sure what’s quite going on but I love it all the same! Apparently the ‘Panteater’ is a mutated creature who has fed for too long on the evil pesticide-ridden pants now prolific in the Western world. A refreshingly lateral and entertaining viral campaign from Leo Burnett that leaves me confused, a little violated, but longing for more! Find out more at PantsToPoverty.